Documentary storytelling takes an endless number of forms, one of the most fascinating being stories told by children about their day-to-day lives. Shree Nayar, a Columbia University computer scientist, saw huge potential for kids to express themselves while learning valuable skills. 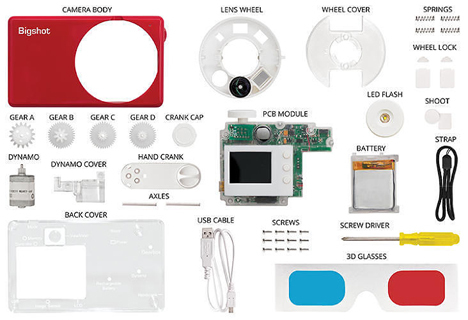 Nayar’s project, called Bigshot, is a point-and-shoot digital camera that comes un-assembled in a kit. Kids follow the directions to put the pieces together, all the while learning the engineering and science concepts that make the camera work. 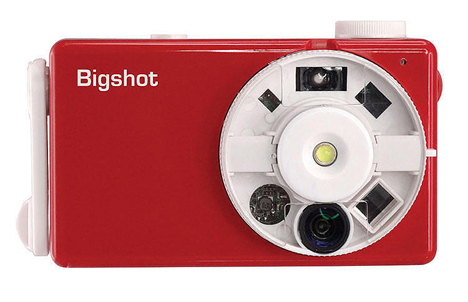 Like all digital cameras, the Bigshot needs a battery to work. But if the battery runs out before the user is done snapping photos, an integrated hand crank acts as a power generator. 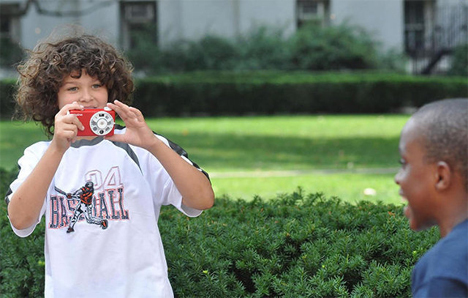 Three different lens modes – regular, wide angle, and 3D – give kids a wide variety of artistic possibilities. The Bigshot is meant to educate children (and grownups) in underserved communities, giving them an opportunity to learn engineering, technology, science, and art. Children in these communities may not have other opportunities to have these educational and artistic experiences, and the Bigshot empowers them to learn and create. Nayar’s goal is to see his idea help children in underserved areas around the world.